$25000 Price Reduction. Best Waterfront Value in North Pinellas. Extraordinarily well-appointed pond front home in the exclusive gated community of Grand Cypress on Lake Tarpon. Panoramic water views from just about every room. Custom built dream home designed by award winning builder Authur Rutenburg. 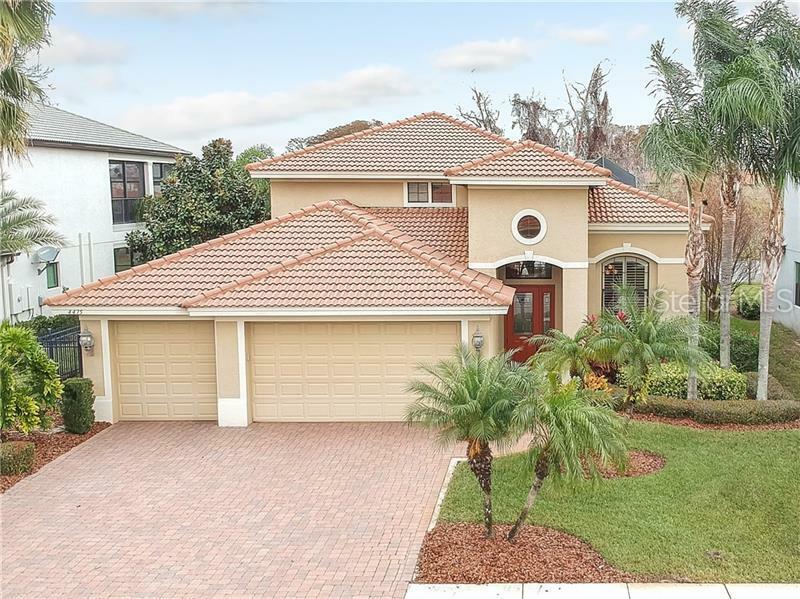 Fabulous curb appeal; this 5 bedroom 3.5 bath offers carefree living at its finest. As you enter the spacious great room you will immediately sense the impressive expanse offered by the high ceilings true hardwood flooring and open gourmet kitchen adorned with GE stainless gas appliances quartz counter tops and 42-inch maple cabinetry. The master bedroom is a sanctuary featuring crown molding his and hers closets a master bath complete with double vanities a separate shower and soaking tub. The back yard is a true oasis featuring spectacular water views pool with a spill over spa and an amazing 2 story private lanai. Itâs like being on vacation every day. Three car garage can easily accommodate a boat which can be launched at a private use ramp just feet away. Superior Features: water softener floored attic space ceiling fans in most every room in and Low E insulated windows. Gated community includes a boat launch and pier. Just minutes from world class golf at the Innisbrook resort. Close to all Gulf beaches and 30 minutes from TIA. Hurry this masterpiece will not last long!